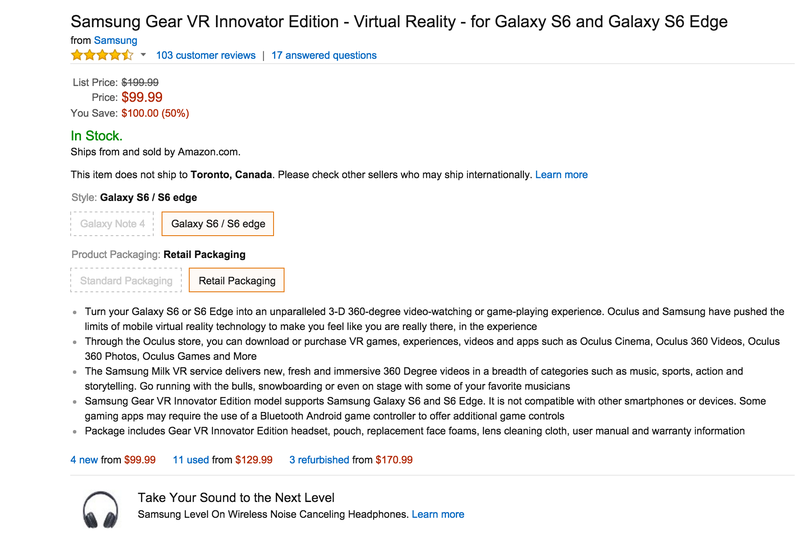 Amazon is offering the Samsung Gear VR Innovator Edition Virtual Reality headset (for Galaxy S6 and Galaxy S6 Edge) for $99.99 shipped (matched at Best Buy). That’s $100 or 50% under the regular price and the best we can find. 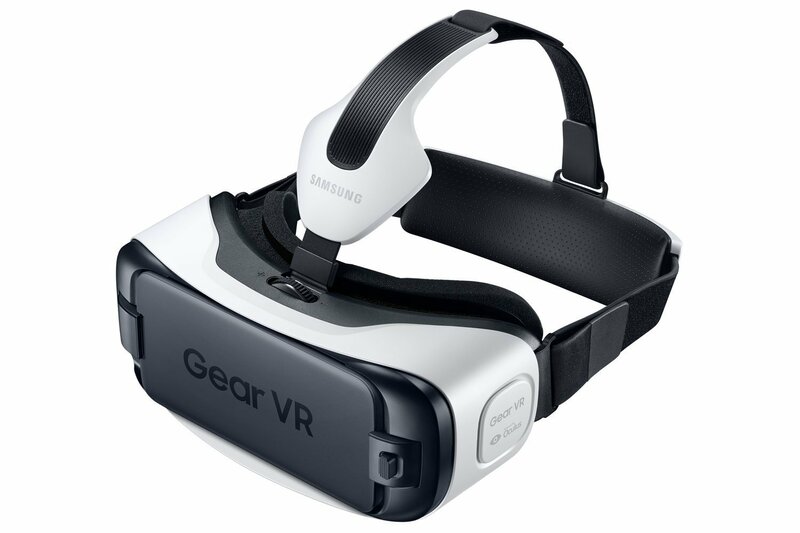 Samsung has teamed up with Oculus to offer Galaxy S6 and Galaxy S6 Edge owners “an unparalleled 3-D 360-degree video-watching or game-playing experience.” Along with a wide selection of 3D content (VR games, experiences, 360 degree videos, apps) available through the Oculus and Samsung store, it ships with the headset itself, a pouch, replacement face foams and a lens cleaning cloth. It has a 4.4/5 star rating from over 100 Amazon customers.